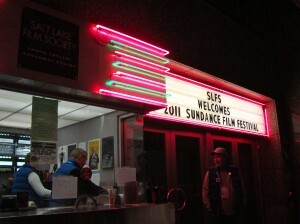 I just got back from SUNDANCE-nearly two decades after Robert Redford founded the film festival as a platform for independent artists. I went there wanting to love each movie and came back inspired and jones-ing for more. While there, I also stumbled on a simple but remarkable theme. PEOPLE ARE WIRED FOR STORYTELLING. is fueled by a need to shape and tell stories. Besides entertaining-our best stories press hard against our humanity. and find our way back again. All this knuckling around in the backroads of our imagination- and the give and take of sharing a tale- is not an idle practice. And then there’s the deal makers and the acquisitions of ones story, bought and sold for millions. Unless, you’re indie-rebel Kevin Smith, (Clerks -Sundance 1994), who bought his own movie RED STATE for $20 bucks. Film critic, Kenneth Turan celebrates the indy movie in Never Coming To A Theater Near You, and he writes, this independent movement could be better, but a world without these films, isn’t a world we’d want to contemplate. In the end, what brings it all full circle, is the likes of me, (a curious movie lover) willing to que-up on a cold winter’s night for a lo-fi mis-adventure or a little existential sci-fi romance.